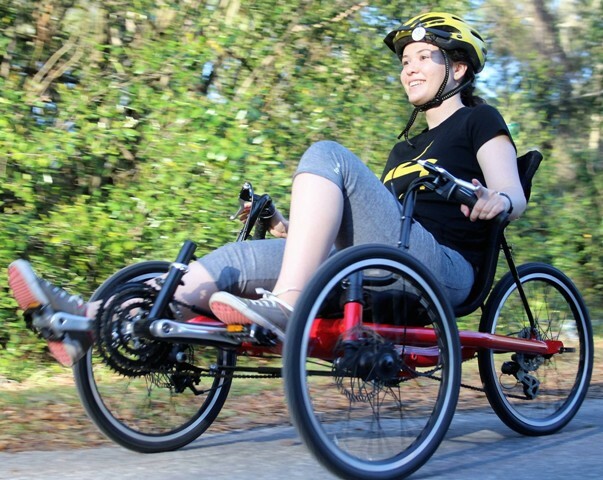 Avenue Trikes is a new brand of tadpole trike that offers many features rarely found on trikes at this price. 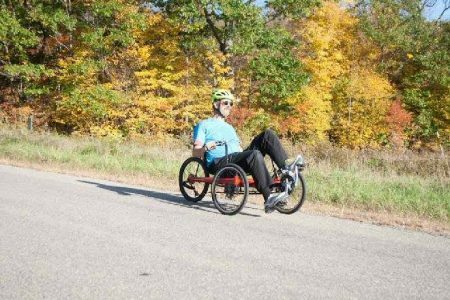 Most sub $1500 trikes have a plain steel frame and 8 or fewer speeds which can make climbing hills difficult. The Avenue Trikes first model, the “1st Ave” has a rigid CroMoly steel frame. Dual Derailleurs give it 24 speeds with a range to get you over most hills well. The 1st Ave seat is 14” high so it is easy to get on and off. It is adjustable to fit your leg length and the seat recline angle is adjustable too. The seat cover is a breathable mesh with removable padding, a nice perk at this price. 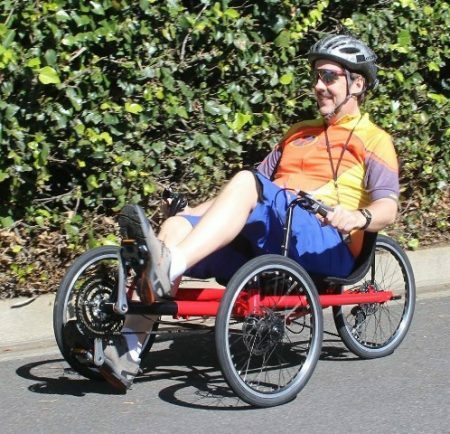 The frame also adjusts so that the Avenue trike can be fitted to a wide range of riders from about 5’2” to about 6’6”. Direct steering keeps it nimble while the steering geometry keeps it manageable, even at 20 to 30 miles an hour. This is one of the Avenue Trikes features that sets it apart from the competition in my mind. Other trikes in this price range either have stiff steering that makes it an effort to keep on the road at 20+ MPH or the steering geometry makes it feel squirrely at that speed. Don’t get me wrong, the Avenue has a high seat and therefore does not handle like a low-slung racing trike but for trikes in its category we think it handles very well. This is partly from the rigid frame, partly from the carefully chosen steering geometry and partially from the ball bearing steering. They arrived March of 2017, Stop in and try one out! If you can’t make the trip to try them we can ship one to you, fully assembled and adjusted to fit you.